Haryana chief minister Manohar Lal Khattar taking a dig at opposition said that Mahagathbandhan is like ‘Baraat without Groom’. Taking a jibe at opposition grand alliance he said “In opposition everyone from Rahul Gandhi, Chandra Babu Naidu, Mayawati to Mamata Banergee is betting for Prime Minister post. He further added that people of India has already decided to cast their votes in the name of development, and development is miles away from the ideology of Congress and other opposition parties. They do cast politics to attract voters and once they are elected they don’t care as much for the people as they must do. Today, terrorist and people who use to give shelters to them are living a life of fear. 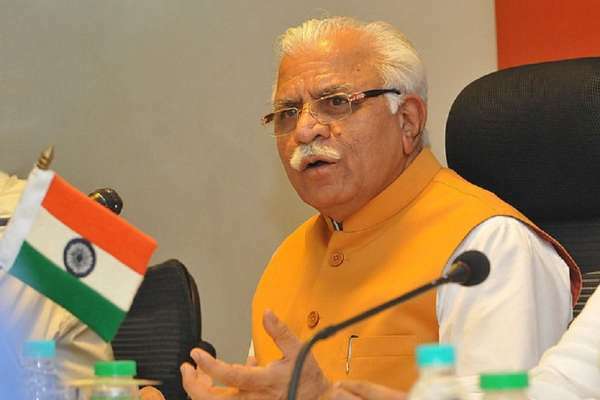 They have fear of Modi government who is taking every strict actions against cross border and inter country terrorism, Khattar said. Khattar targeting the opposition said, corruption was surviving rampantly under their regime but now BJP has established a phenomena of corruption free government from last five years. ना कोई चंदा, न नोटों की माला, ना चमचा ना चाटूकार! नौकरी बेचने वाले गए जेल में, भ्रष्टाचारी गए इलेक्शन हार ! आज देश का बच्चा-बच्चा बोले मैं भी चौकीदार!! चलो आज ले ले हम भी प्रण, फिर एक बार मोदी सरकार ! !